DJ Khaled is one of the most popular celebrities in music, a legend on social media, and his new songs feature top talent like Jay Z, Beyoncé, Justin Bieber, Quavo, Chance the Rapper, and Lil Wayne. Khaled’s been releasing albums for over a decade now, and everyone knows his name, but do they know what he actually does? It’s practically impossible to have the radio on for more than 5 minutes without hearing “D-D-D-D-DJ KHAAALED” or “WE THE BEST MUSIC!” or if you’re really lucky, both. DJ Khaled is a record producer, radio personality, DJ, record label executive, and author. Here’s where the “DJ” part of “DJ Khaled” comes in. Since Listen… The Album – his first album – DJ Khaled has released nine more albums, the most recent of which being Grateful in June of this year. Of those next nine albums, he is credited as a performer and producer on each one, and is also the executive producer on seven of them. 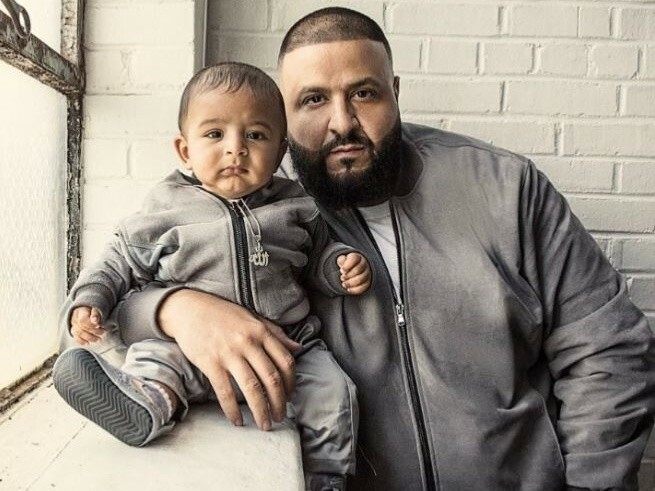 His infant son, Asahd Khaled, is the executive producer of Grateful, despite being less than a year old when the album was released. Now, regarding the fact of him ruining the song or not – we’re on the fence, actually. You know how sometimes too many cooks spoils the broth. Something of his appearance ruins the greatness of a song. What began as an incredible song deteriorates and by the end, you’re almost dreading hearing it again. “We the best”; “You smart, you loyal”; “Major key alert”; “Anotha one” — these ad-libs define DJ Khaled, and ruin potentially great songs. Throughout his albums, Khaled shouts one — if not all — of these sayings to ensure our awareness of his presence and to interrupt the featured artists. In the meantime, you gotta admit too on how these ad-libs are catchy. You have learn it by heart and now, every single time his songs comes out, you’d shout his verse out loud along. It’s not impossible to say, some of his songs are famous because of his appearance. You can’t look at him the same way you look at other literal DJ. DJ Khaled works similarly to a movie director works – he coordinates the track, he puts people together and he has the final say on the song. Whether it’s hot or not, it’s on him. Needless to say, the empire he’s built, and his savvy marketing/branding technique is respectable. In a sense, Khaled plays the role of a very loud and active A&R (artists and repertoire) dude. He has the industry connections and power to get rappers on the same track. Clearly, the man has an intense work ethic that has afforded him his robust fame. Indeed! Happy Birthday, DJ Khaled!